At the Global Cold Chain Alliance, we view talented professionals as a cornerstone of the industry's success. 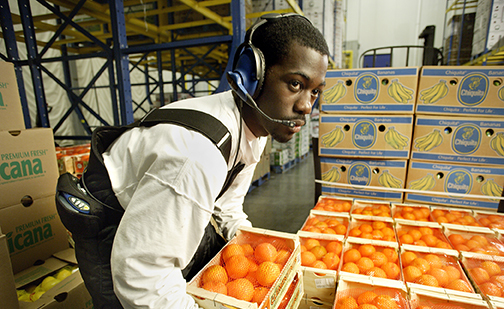 The following is a list of cold chain industry award programs that are geared towards young and up-and-coming professionals in the temperature-controlled warehousing and logistics industry. Select the award program to learn more about how to enter and eligibility criteria. On July 24, 2012, the cold chain industry lost Donald V. Schlimme, Ph.D. A member of the WFLO Scientific Advisory Committee since 1983 and a WFLO Staff Advisor for many of those years, Schlimme was an expert in the science of cold storage and was committed to sharing his extensive knowledge. The WFLO Don Schlimme Scholarship Fund honors Schlimme’s memory and develops young professionals in the cold chain industry. Donations to this fund are tax deductible since WFLO is a 501 (c)(3) organization under IRS tax law. Donate now or call WFLO at +1 703 373 4300.